Twelve years ago, Avesta Housing and Preble Street opened the doors to Logan Place, the first “housing first” community in Maine. Housing first is an evidence-based, cost-effective approach to ending chronic homelessness. It focuses on getting our most vulnerable neighbors housed as quickly as possible while ensuring that they have ongoing access to critical support services. 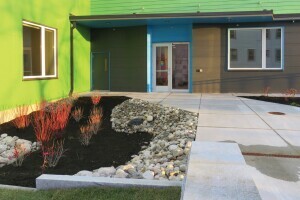 Avesta is the developer, owner and property manager for Logan Place, while Preble Street provides 24-7 support services for the 30 residents who had experienced chronic homelessness before moving into their new home. When we opened Logan Place, it was a huge risk. No one else in Maine, and very few people anywhere else in the country, had done anything like this. We were essentially putting millions of dollars and our nonprofit organizations’ reputations on the line to test a new approach to housing Portland’s most vulnerable population – people who had already struggled enormously to stay housed. But the remarkable results have proven to be more than worth the risk. On the night Logan Place opened, the number of people using the city overnight shelter at Oxford Street decreased for the first time in 20 years. Moreover, after moving into Logan Place, the residents reduced their nights in jail by 88 percent, their visits to the emergency room by 70 percent, and their contacts with police by 81 percent. The data have revealed that housing first is not only more humane, but also less costly than the endless cycle of shelters, emergency rooms, jails, and detox programs that chronically homeless people otherwise endure year after year. 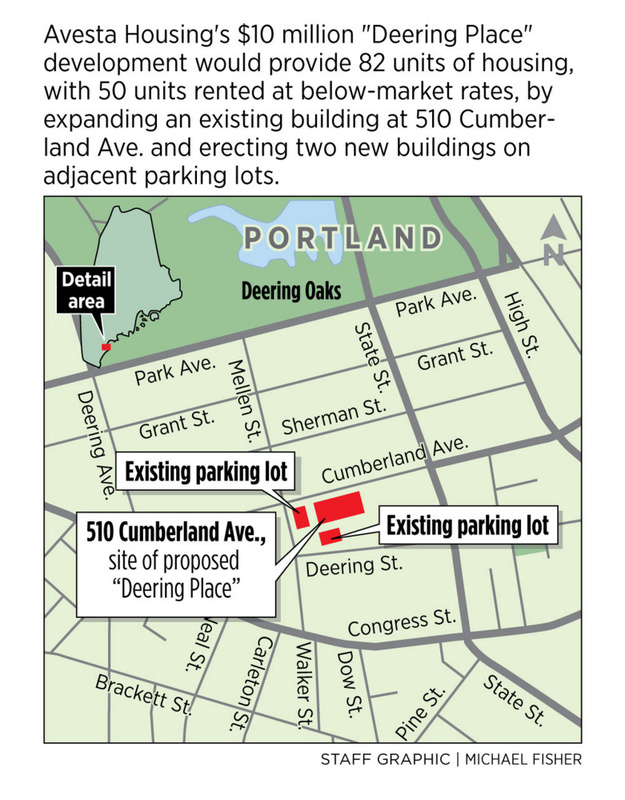 In an effort to increase low- and middle-income housing opportunities in Portland, city councilors have approved zoning incentives for development along some city corridors and in certain commercial areas. 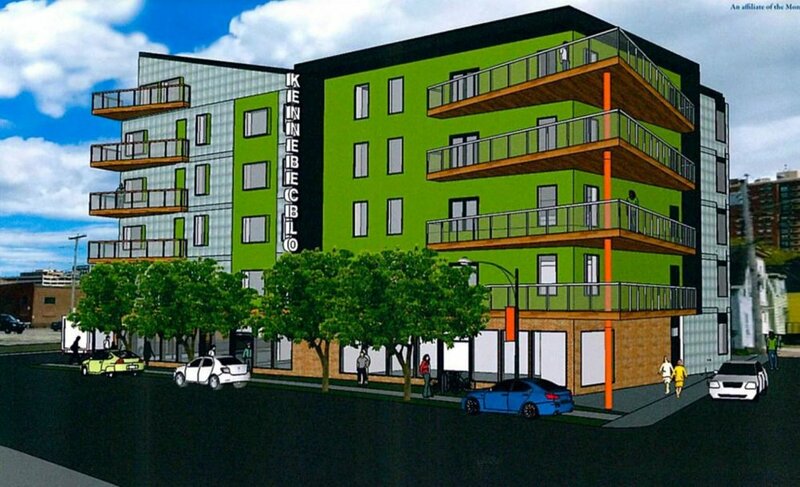 Jeff Levine, planning and urban development director for the City of Portland, says the city was hearing from affordable housing developers that they were getting outbid for properties they were trying to buy on the private market. SOUTH PORTLAND — A plan to revitalize the West End that highlights improved streets and sidewalks, new recreational opportunities and keeping the area affordable was presented Monday at a City Council workshop. The plan encompassing the Redbank and Brick Hill neighborhoods and parts of Westbrook Street and Western Avenue includes an earlier public-private proposal to build affordable housing. However, zoning changes are necessary to adopt some of the recommendations. Councilors would have to formally adopt the plan and authorize the zoning changes. During the workshop, councilors also discussed “paper” streets and marijuana licensing. The West End Neighborhood Master Plan highlights five objectives, including neighborhood connectivity, regional access for residents, sustainability, increasing recreation and open space, and developing a neighborhood center. A City Council committee will discuss the recommended proposals for Bayside and gather public views at a hearing Wednesday. Seventy units of housing, a business incubator and work spaces for artisans and aspiring chefs are among the recommended uses for Portland’s former public works campus in Bayside. A new type of energy-efficient construction is drawing attention in the U.S. It’s called “passive housing” — residences built to achieve ultra-low energy use. It’s so efficient that developers can eliminate central heating systems altogether. Imported from Germany, it’s been a boutique building style until recently, with eco-minded home owners making costly upfront investments to downsize their carbon footprints. But now, New England is joining a surge in large-scale passive housing development. 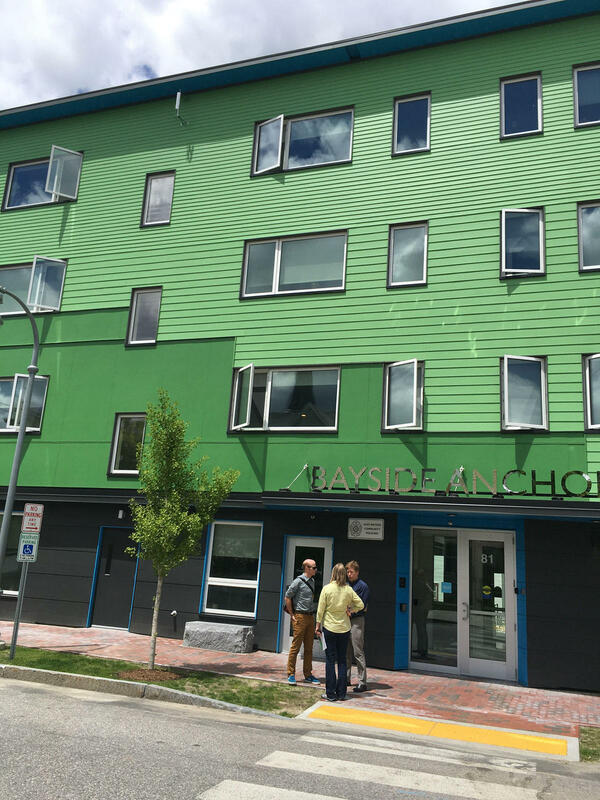 Bayside Anchor is a big, green, somewhat boxy-looking four-story building that overlooks a tidal cove in Portland, Maine. Portland, Maine’s Bayside Anchor apartments. https://www.avestahousing.org/wp-content/uploads/2017/07/baysideanchornpr.jpg 1600 1200 Fred Bever /wp-content/uploads/2017/01/logo.png Fred Bever2017-07-18 11:46:032017-08-18 10:44:56Ultra-Efficient Apartment Buildings In Portland And Boston Are Part Of "Big Wave"